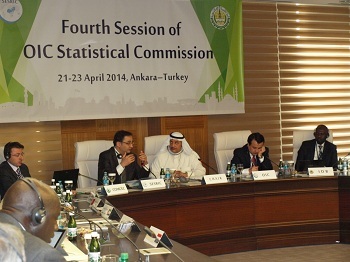 The Fourth Session of the Statistical Commission of Organisation of Islamic Cooperation (OIC-StatCom) was co-organised by the Statistical, Economic and Social Research and Training Centre for Islamic Countries (SESRIC) and the Islamic Development Bank (IDB) at SESRIC Headquarters on 21-23 April 2014 in Ankara, Republic of Turkey. 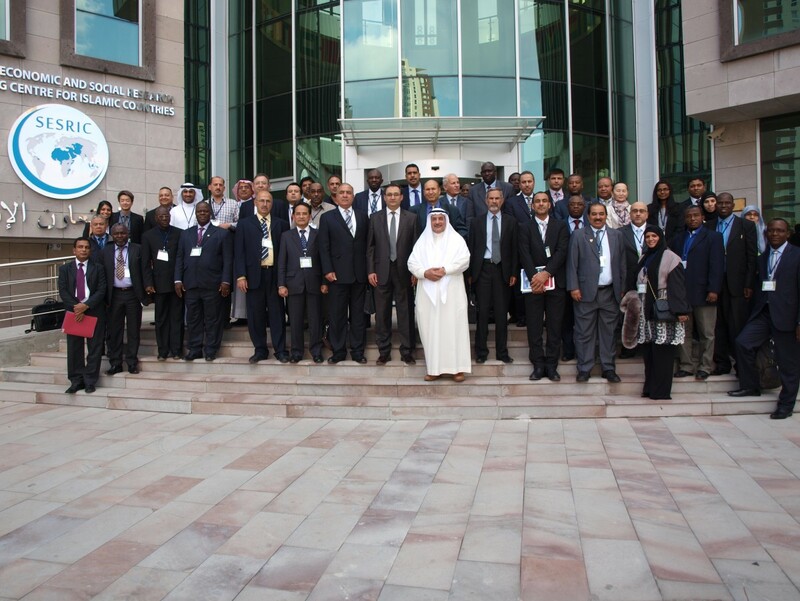 The delegates of the National Statistical Offices (NSOs) from 38 OIC Member Countries including Afghanistan, Albania, Algeria, Bahrain, Bangladesh, Benin, Burkina Faso, Cameroon, Chad, Cote d’Ivoire, Comoros, Djibouti, Egypt, Indonesia, Iraq, Kazakhstan, Kuwait, Kyrgyzstan, Libya, Malaysia, Maldives, Mali, Mauritania, Niger, Oman, Palestine, Qatar, Saudi Arabia, Senegal, Sierra Leone, Sudan, Suriname, Tajikistan, Tunisia, Turkey, UAE, Uganda and Yemen attended the Fourth Session of OIC-StatCom. 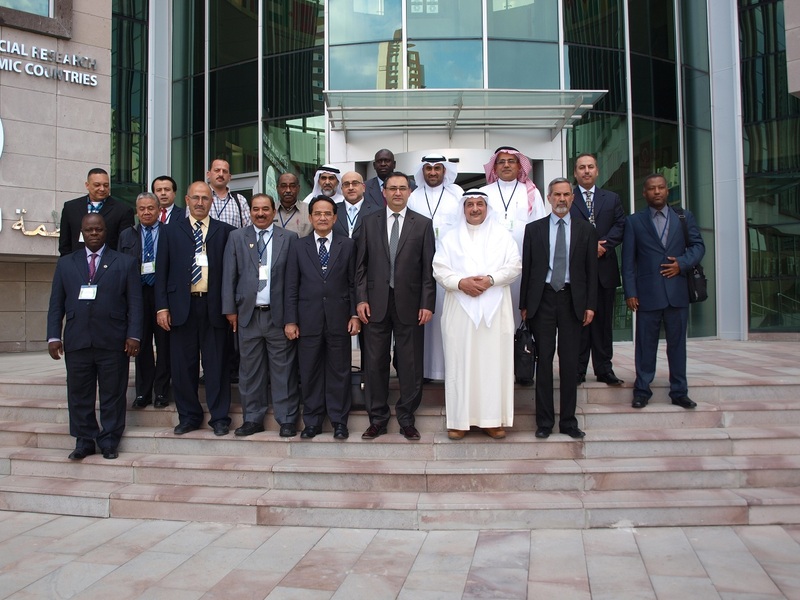 Besides the General Secretariat of Organisation of Islamic Cooperation (OIC), the representatives of 9 international organisations including the Standing Committee for Economic and Commercial Cooperation of the Organisation of Islamic Cooperation (COMCEC), World Health Organization (WHO), United Nations Statistics Division (UNSD), United Nations Economic and Social Council for Western Asia (UNESCWA), Centers for Disease Control and Prevention (CDC), CDC Foundation, Oxford Poverty and Human Development Initiative (OPHI), Arab Institute for Training and Research in Statistics (AITRS), and Islamic Centre for Development of Trade (ICDT) took part in the Fourth Session of OIC-StatCom. 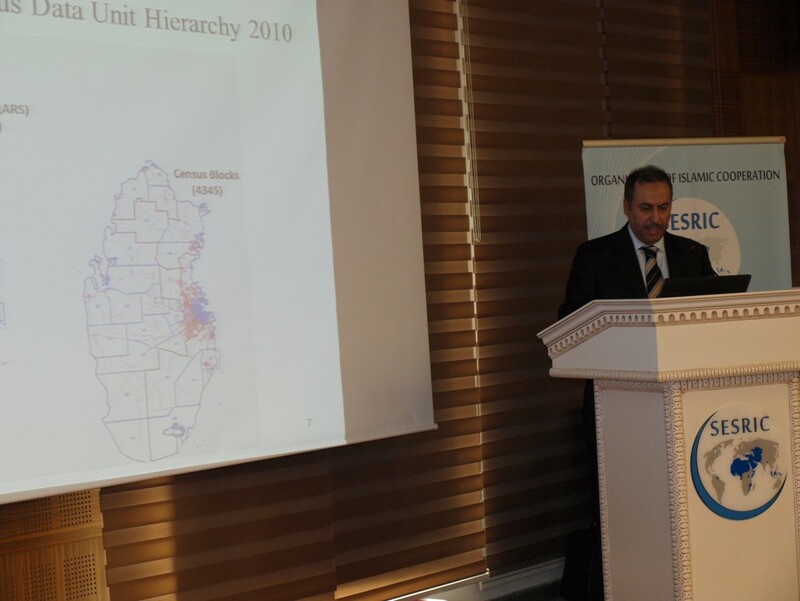 The Centre was represented thereat by Prof. Savaş Alpay, Director General; Mr. Hüseyin Hakan Eryetli, Director of Statistics and Information Department; Ms. Zehra Zümrüt Selçuk, Senior Researcher; Mr. Atilla Karaman, Senior Researcher; Mr. Syed Tahir Mahmud, Researcher; Mr. Abdulhamit Öztürk, Researcher; and Mr. Orxan Nadirov, Researcher. 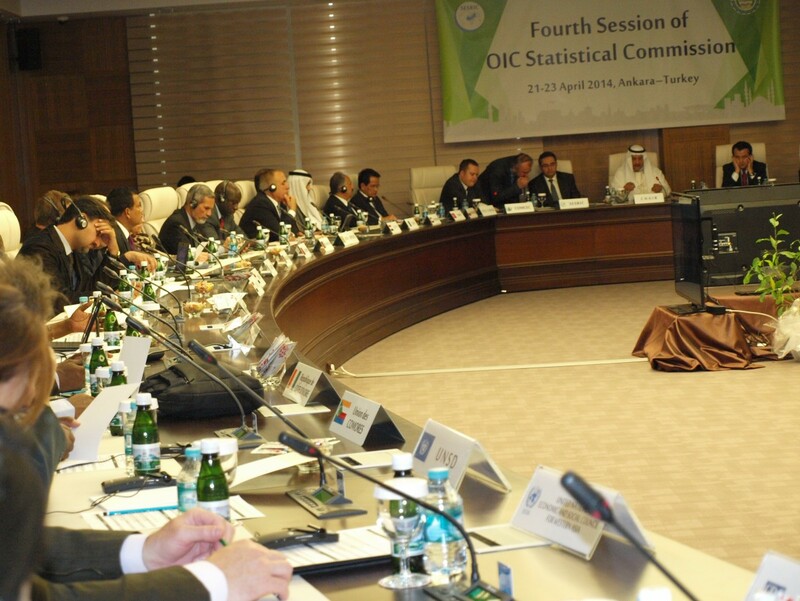 After the recitation of the Holy Quran, the Fourth Session of OIC-StatCom commenced on 21 April 2014 with the welcome addresses by H.E. 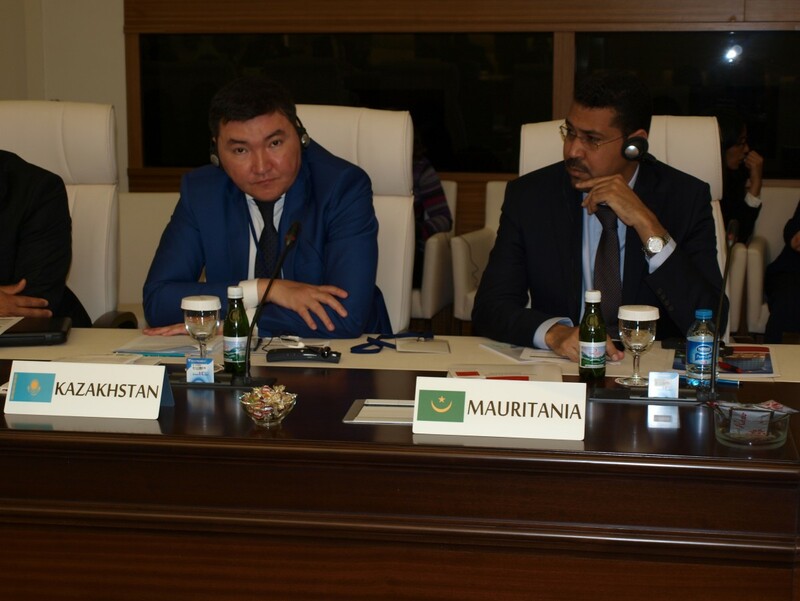 Mohanna al Mohanna (Chair of the OIC-StatCom and Director General of the Central Department of Statistics and Information (CDSI), Saudi Arabia), Mr. Selçuk Koç (Director, COMCEC Coordination Office), Mr. Jakhongir Khasanov on behalf of H.E. 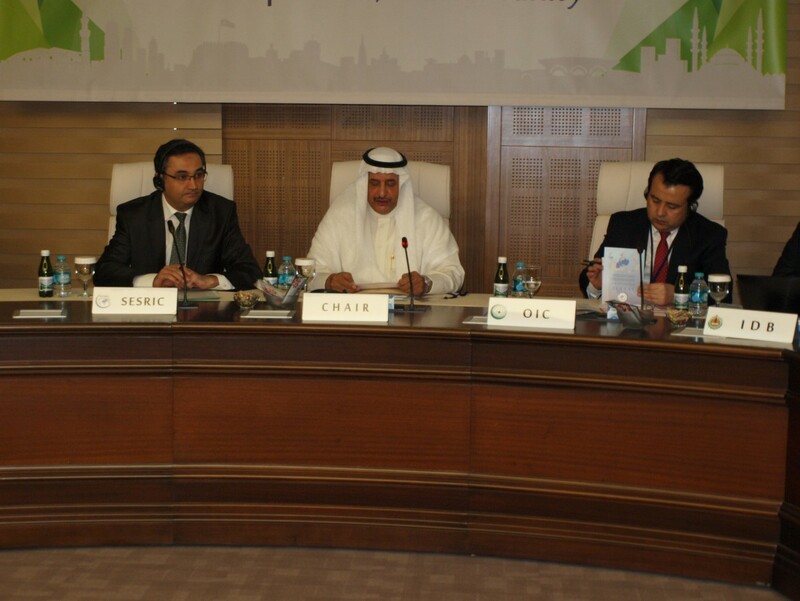 Iyad Ameen Madani (Secretary General of OIC). 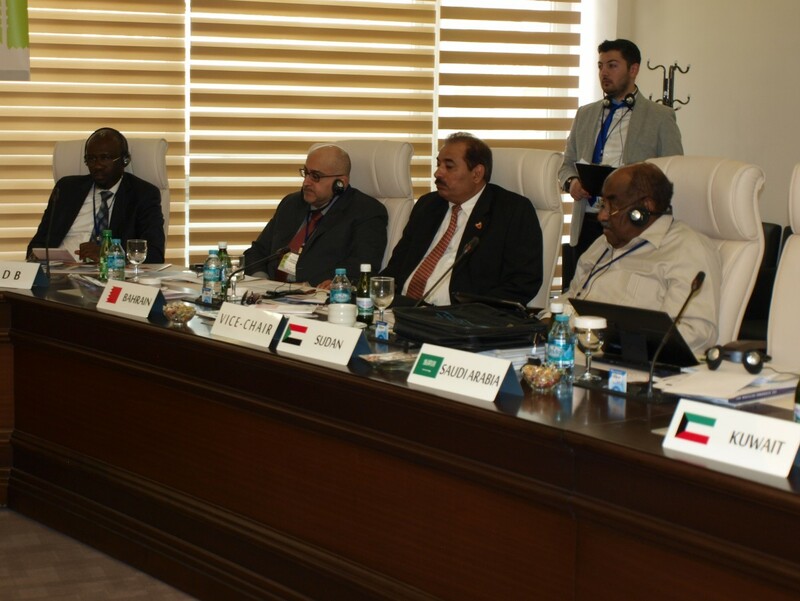 Dr. Abdullateef Bello (Director, Economic Research and Policy Department, IDB) and Prof. Savaş Alpay (Director General, SESRIC) delivered the welcome speeches as co-organizers of the OIC-StatCom. 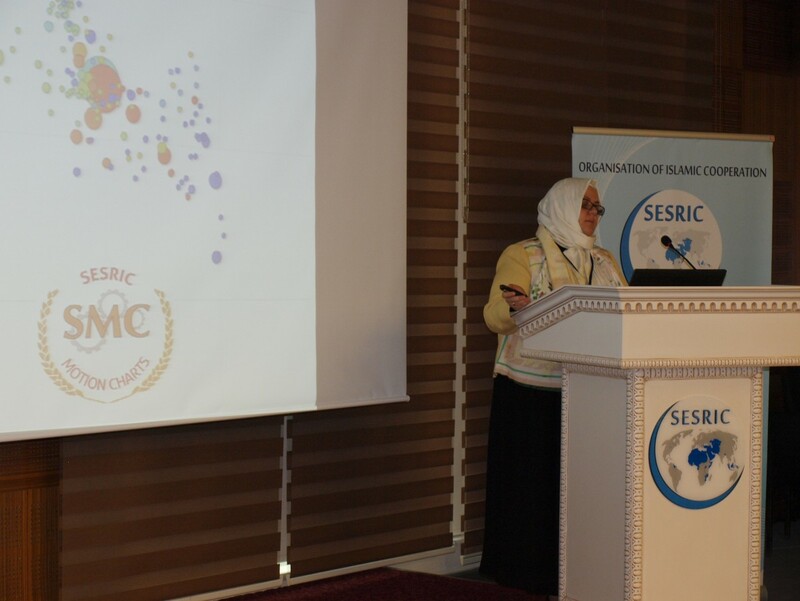 The opening session continued with the opening remarks by Ms. Khaledah Al-Kharraz on behalf of Dr. Abdullah Sahar (Director General, Central Statistical Bureau, Kuwait), and by Mr. Enver Taştı on behalf of Mr. Birol Aydemir (President of Turkish Statistical Institute (TurkStat), Turkey) representing Arab and Asian regions, respectively. 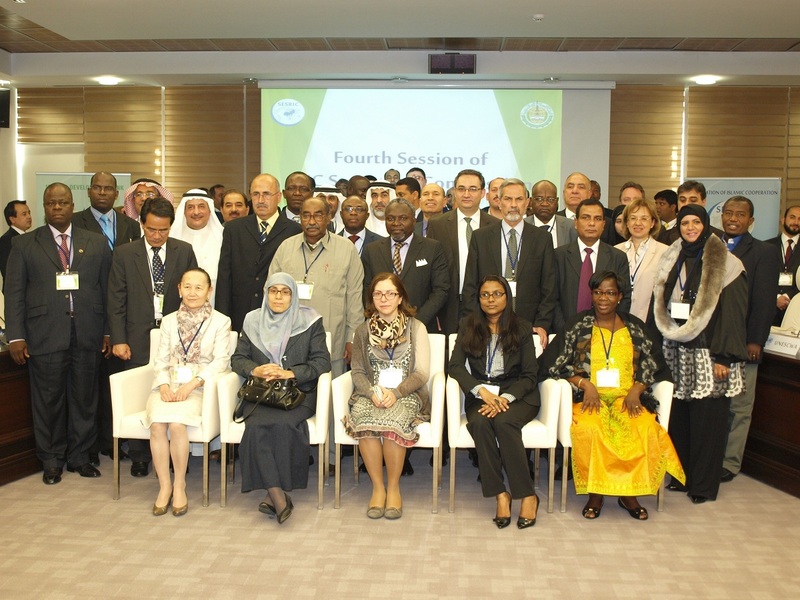 In his inaugural address, Prof. Savaş Alpay, Director General of SESRIC, enlightened the delegates on the successful conduct of the OIC-StatCom Executive Work Plan activities, especially the OIC Certification and Accreditation Programme for Official Statisticians (OIC-CPOS) and the OIC-StatCom Forum, an online knowledge and experience sharing platform. 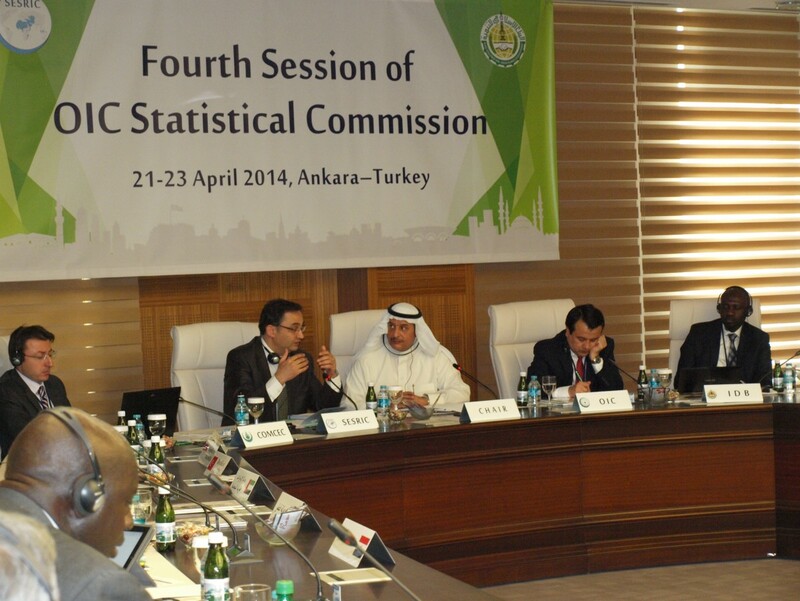 Prof. Alpay emphasized the key role of NSOs in generating reliable statistics to be used in the fight against poverty in the OIC Member Countries. 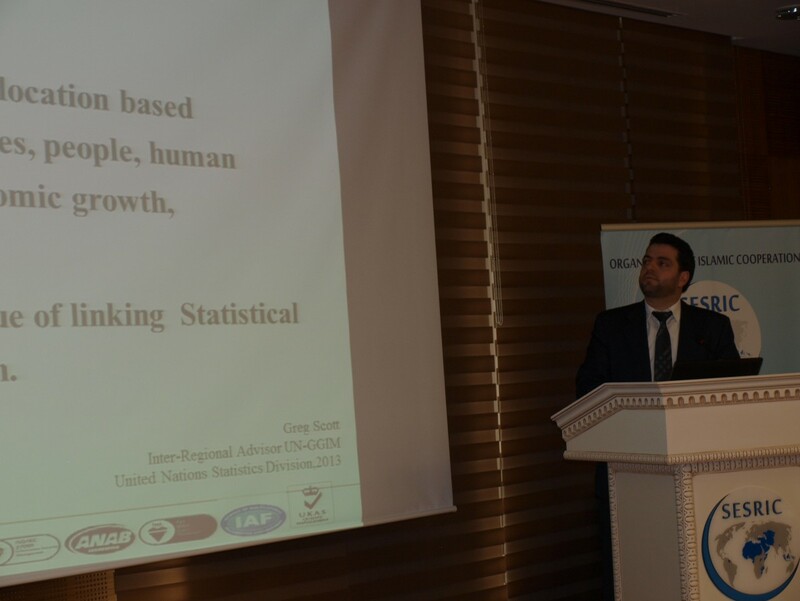 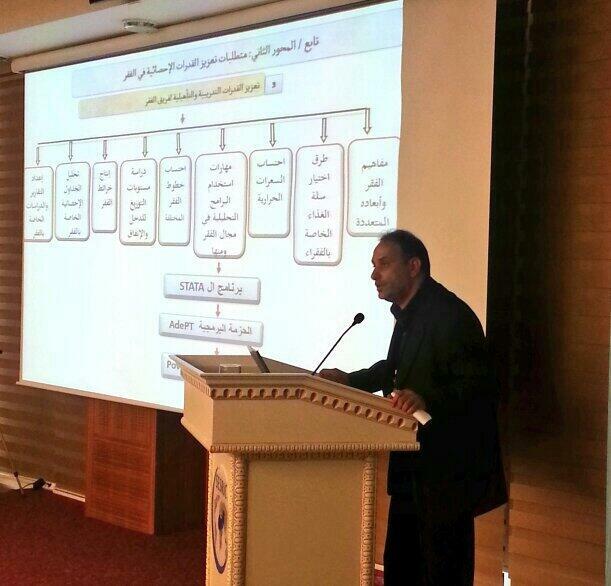 Prof. Alpay also highlighted the need for better health statistics to implement sound health policies. 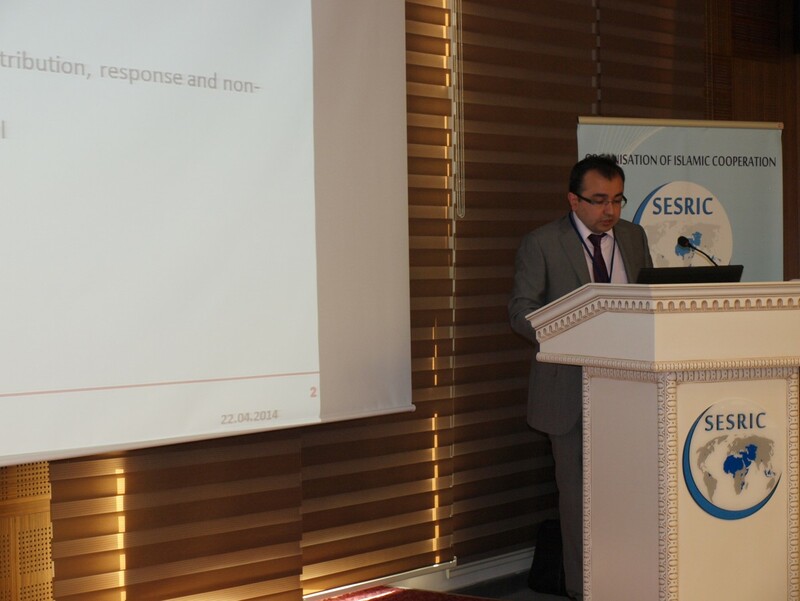 While concluding his remarks, Prof. Alpay underlined the necessity of the involvement of NSOs in the global discussions concerning the Post-2015 Development Agenda. 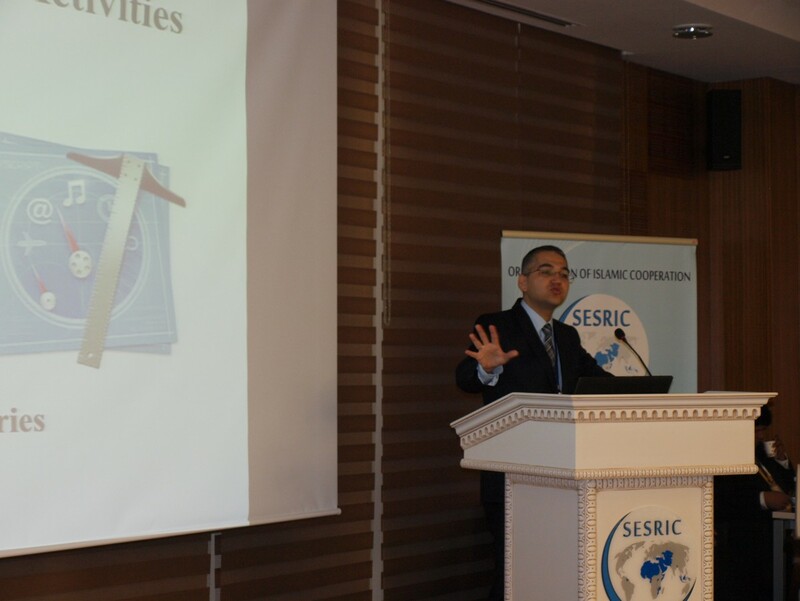 During the session titled “Implemented Activities of the OIC-StatCom”, the presentations reporting the activities and initiatives which have been implemented based on the resolutions of the Third Session of OIC-StatCom have been delivered by Mr. Atilla Karaman (Senior Researcher, Statistics and Information Department, SESRIC) and Ms. Zehra Zümrüt Selçuk (Senior Researcher, Statistics and Information Department, SESRIC). 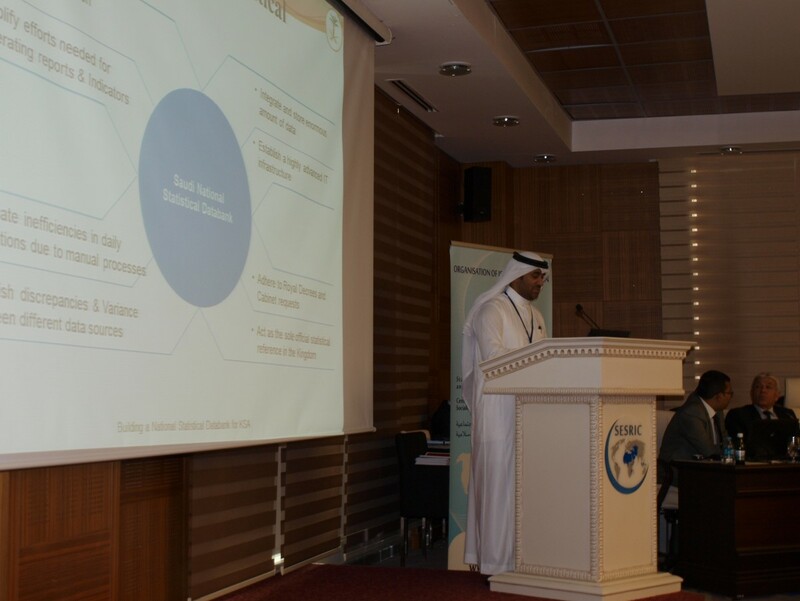 The last presentation of the morning session was made by Mr. Mansour Kh. 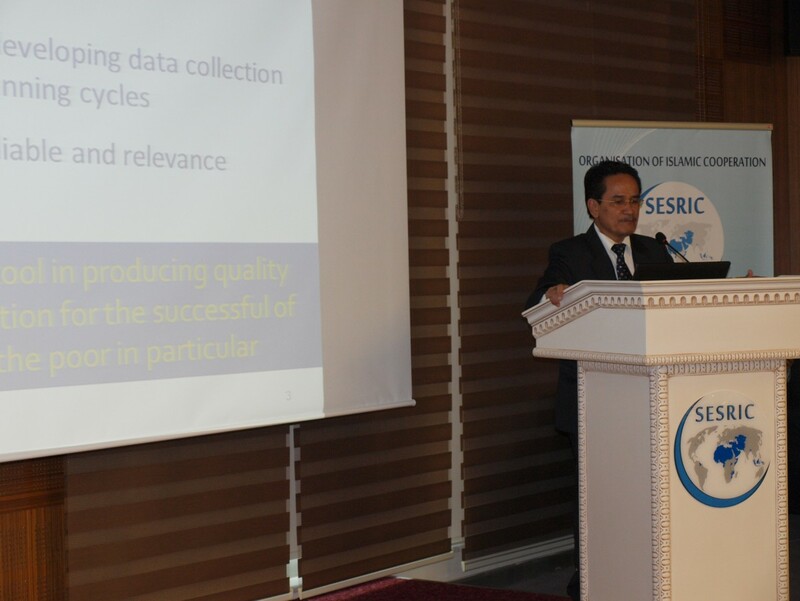 Damas (Director of Systems Programming, CDSI, Saudi Arabia) on a new project on establishing National Statistical Databank through the involvement of international stakeholders. 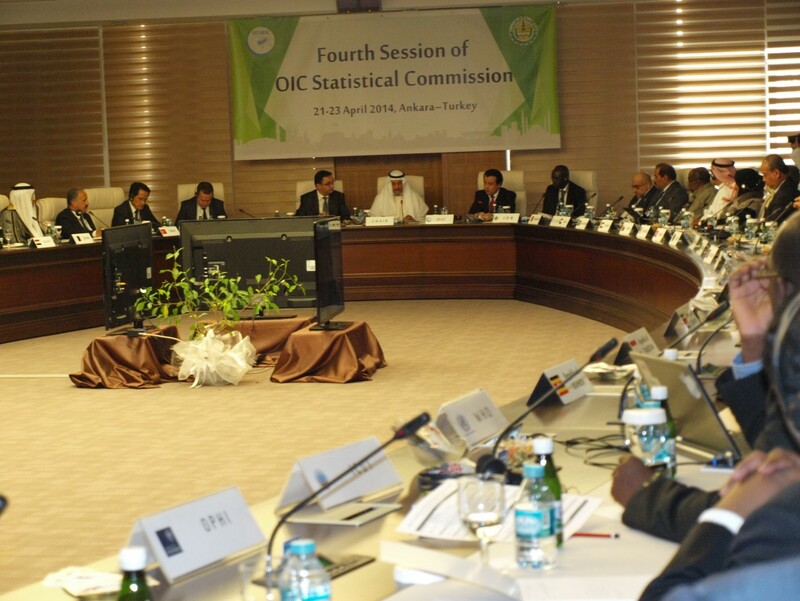 The Fourth Session of OIC-StatCom continued with the session titled “Enhancing National Capacities in Poverty Statistics”. 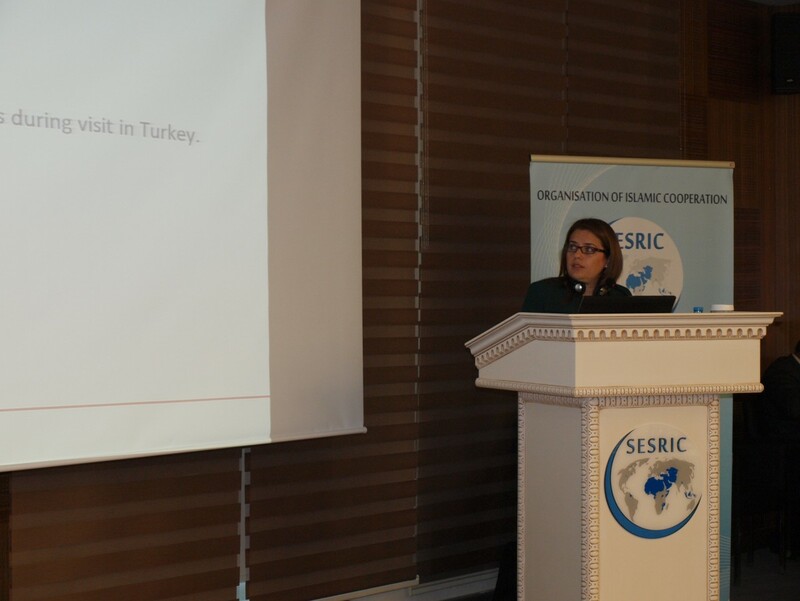 During the session, Ms. Zehra Zümrüt Selçuk (Senior Researcher, Statistics and Information Department, SESRIC) informed the participants about the SESRIC-COMCEC joint project titled “Enhancing National Capacities of OIC Member Countries in Poverty Statistics” for which a grant has been entitled under the COMCEC Project Cycle Management (PCM) Programme for the period 2014. 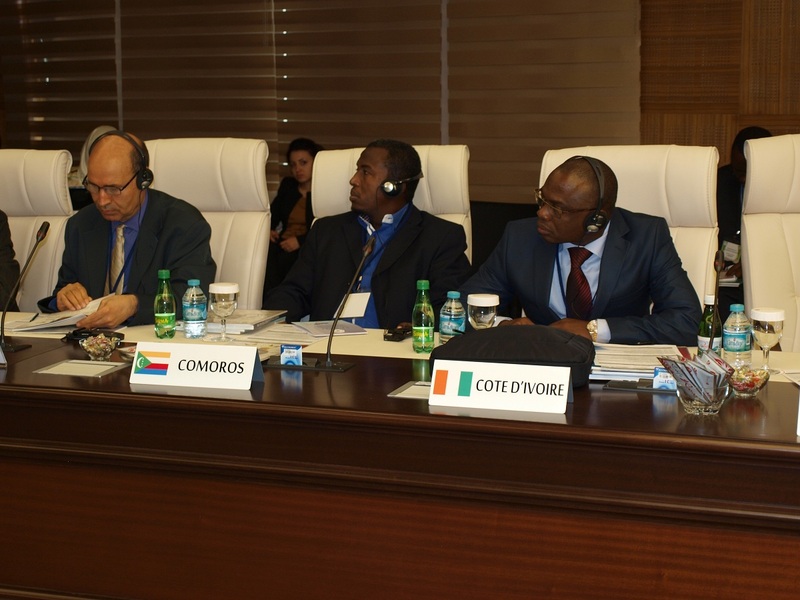 Dr. Suryamin (Director General, BPS-Statistics Indonesia), Mr. Mamadou Falou Mbengue (Deputy Director General, National Agency for Statistics and Demography (ANSD) of Senegal), Mr. Barış Uçar (Expert, TurkStat, Turkey), Dr. Fares Al-Gahmi (General Coordinator for Census, Central Statistical Organisation, Yemen), and Dr. Suman Seth (Research Officer, OPHI) also made presentations in this session. 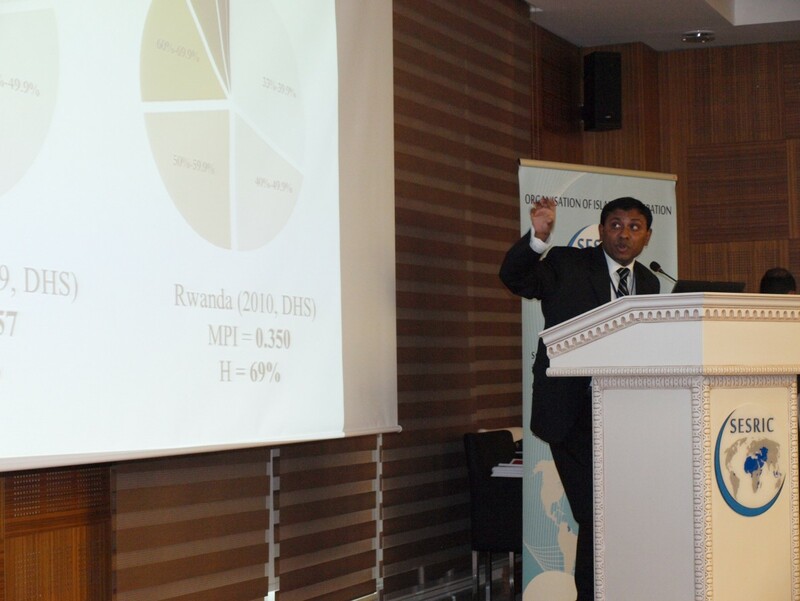 While the country case presentation of Indonesia emphasised the role of statistics as a key tool in comprehensive planning, monitoring and evaluation for the successful implementation of development initiatives towards the alleviation of poverty in Indonesia, the presentations of Senegal, Turkey and Yemen gave an overview on the structure of poverty statistics in their respective countries. 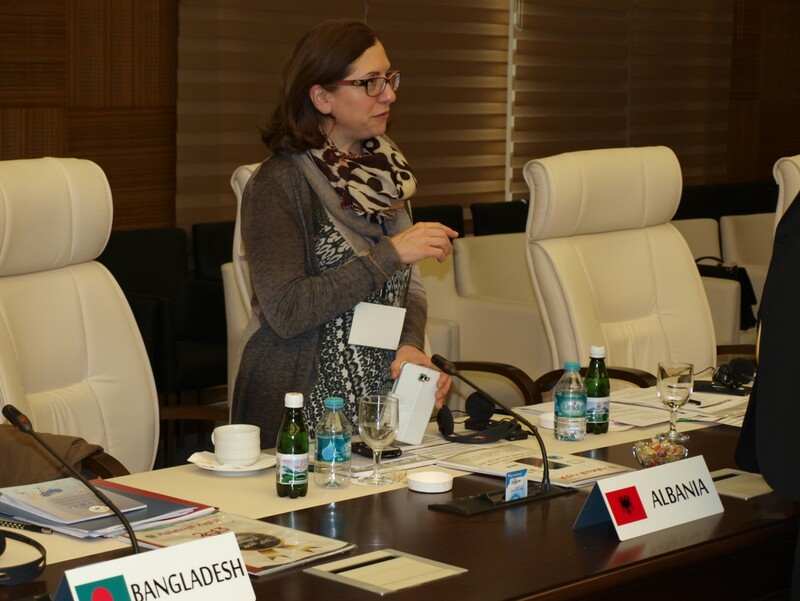 Besides, OPHI introduced the multidimensional approach to measure different forms of poverty, deprivation and inequality, and informed the participants about the Global Multidimensional Poverty Peer Network (MPPN), an international peer network for policymakers engaged in exploring or implementing multidimensional poverty measures. 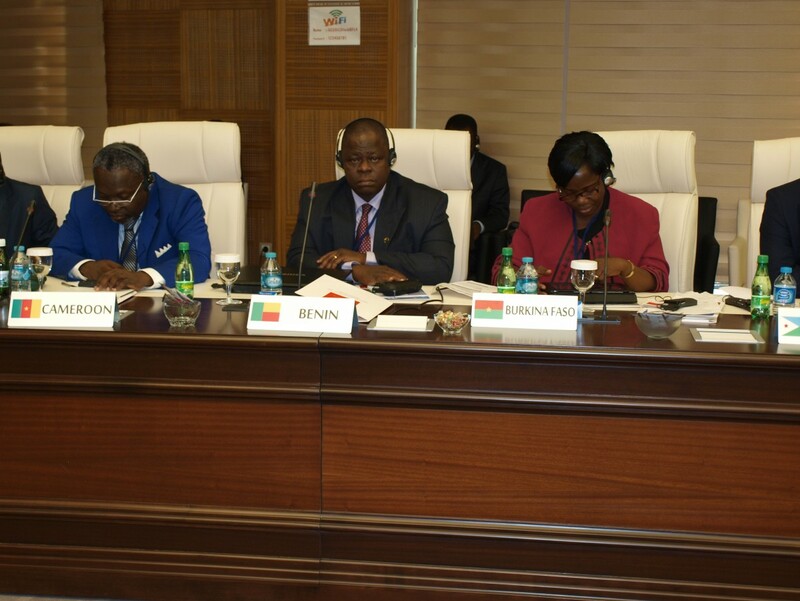 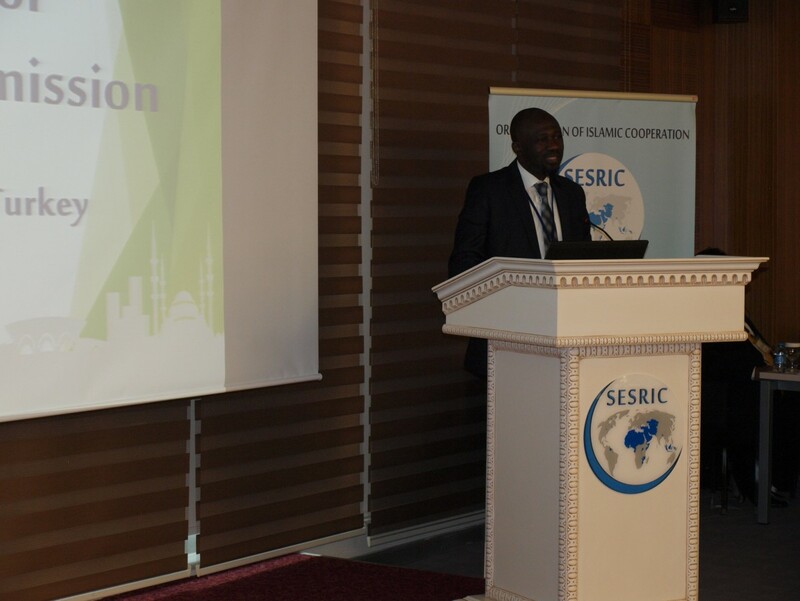 After the presentations, delegates exchanged views on the importance of the participation of member countries in the SESRIC-COMCEC joint project on poverty statistics and possible cooperation mechanisms in terms of sharing knowledge and expertise, and organising capacity building programmes on poverty statistics. 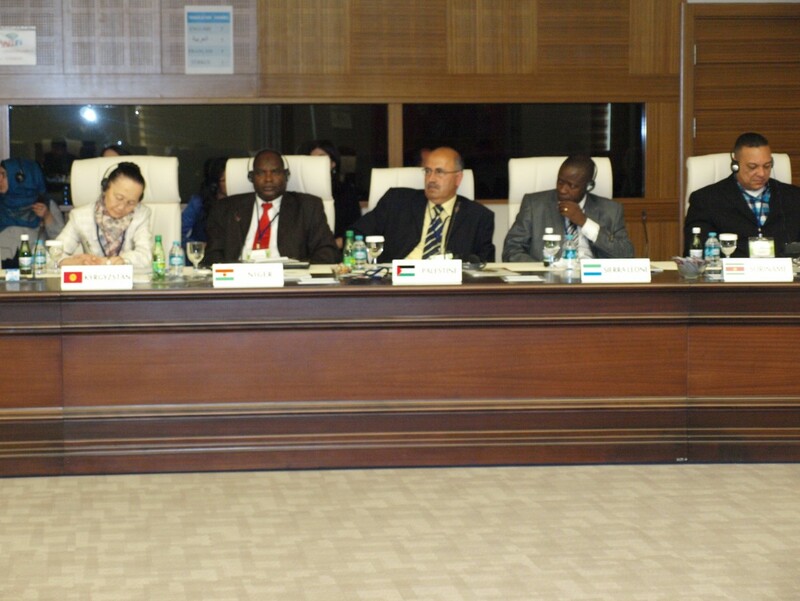 Sudan, Palestine, Egypt and Djibouti shared with the delegates their experience concerning poverty measurement surveys. 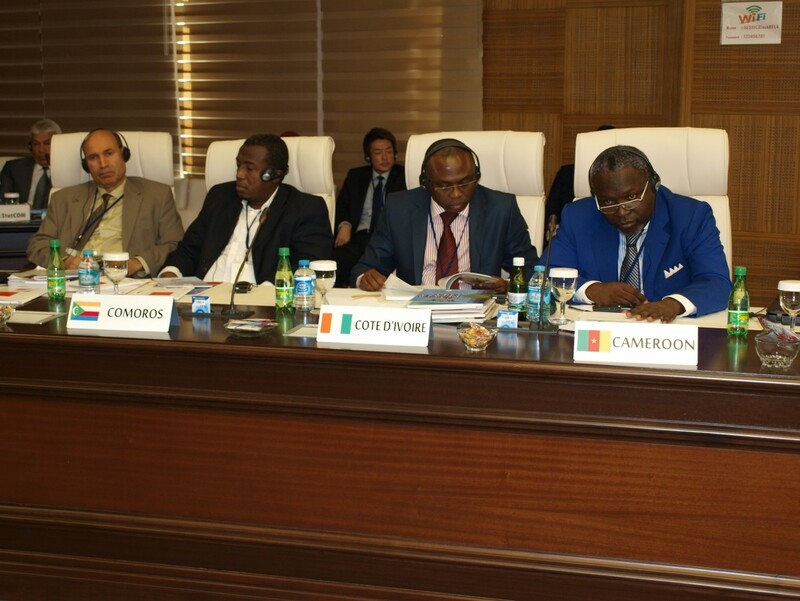 During the discussions; Saudi Arabia, Benin and AITRS emphasised the necessity of developing definitions of poverty for country-specific situations. 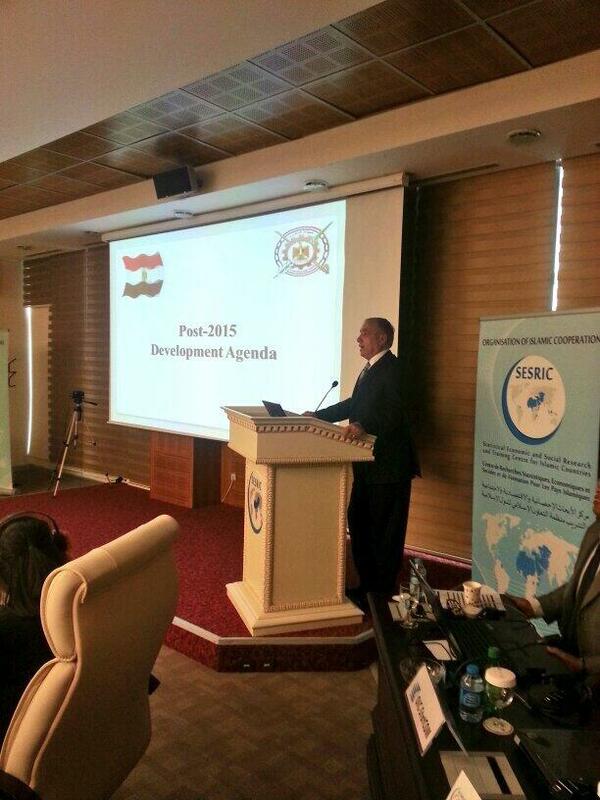 The last thematic session on first day was devoted to the “Post-2015 Development Agenda and Implications for NSOs”. 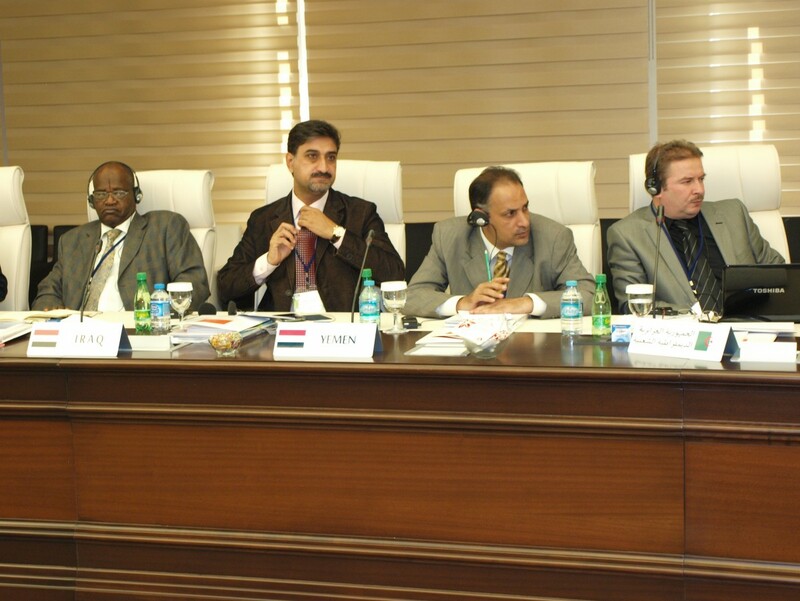 Dr. Abdullateef Bello (Director, Economic Research and Policy Department, IDB) and Dr. Juraj Riecan (Director, Statistics Division, UNESCWA) briefed the delegates about the implications of the Post-2015 Development Agenda on the NSOs with particular focus on open data and data revolution initiatives. 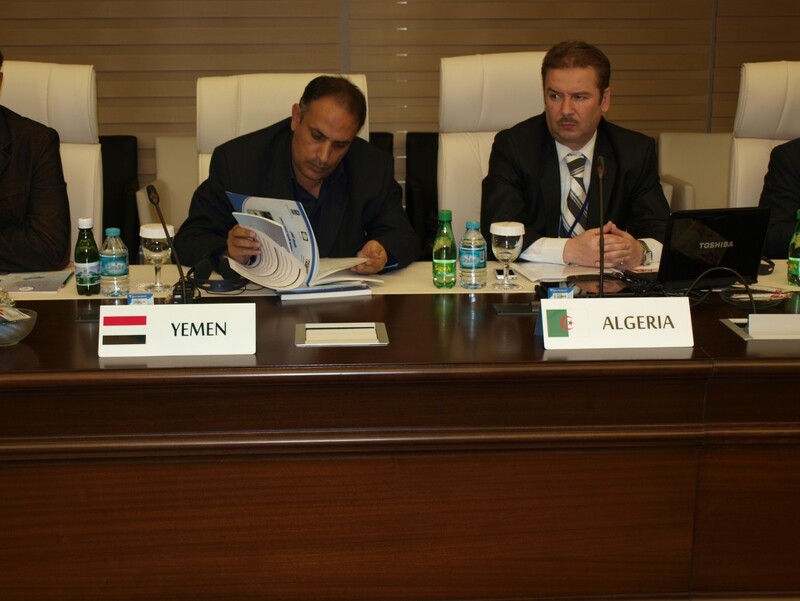 In his presentation, Mr. Abu Bakr Al Gendy (Director General, Central Agency for Public Mobilization and Statistics (CAPMAS), Egypt) gave information about the progress towards the Millennium Development Goals in Egypt and stated the strengths and weaknesses of the MDG framework. 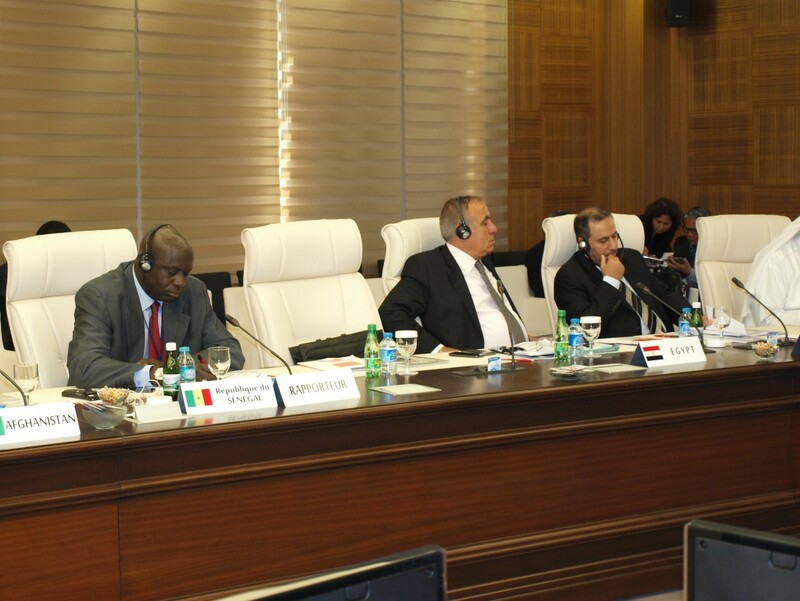 Mr. Al Gendy also focused on the role Egypt plays in the UN Open Working Group on Sustainable Development Goals (SDG) as one of the six Arab countries implementing country level SDG consultations. 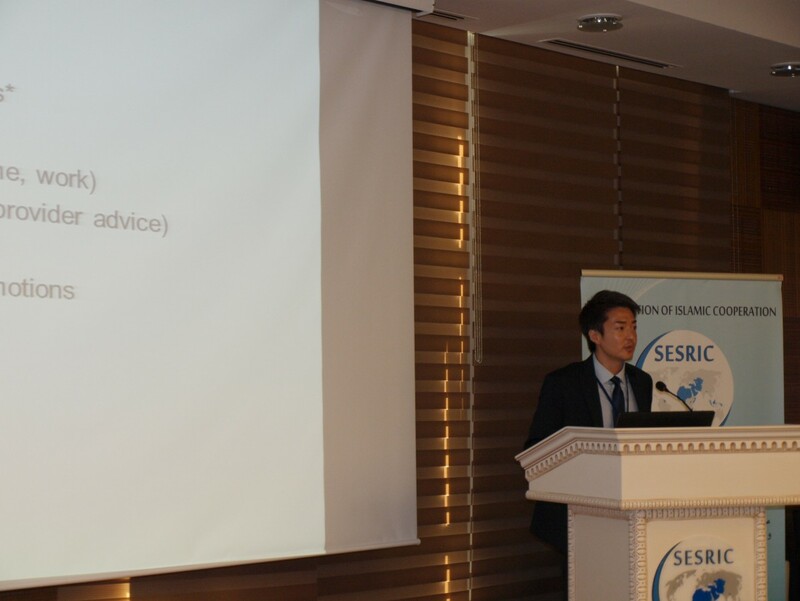 Following the presentations, the participants expressed their views concerning the need to have a common vision for the identification of SDGs and allocation of more resources to achieve them. 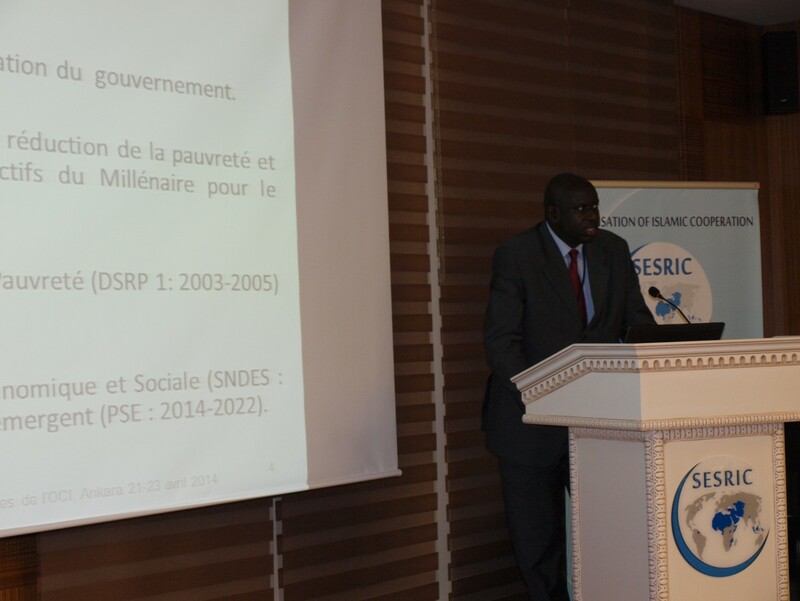 Participants from the Sub-Saharan Africa (SSA) region drew attention to the lack of human resources in official statistics by pointing to the attractive benefits offered by the private sector firms, especially in the finance sector, to the official statisticians which eventually causes the NSOs to lose their human resources and jeopardizes their role in the measurement of SDGs. 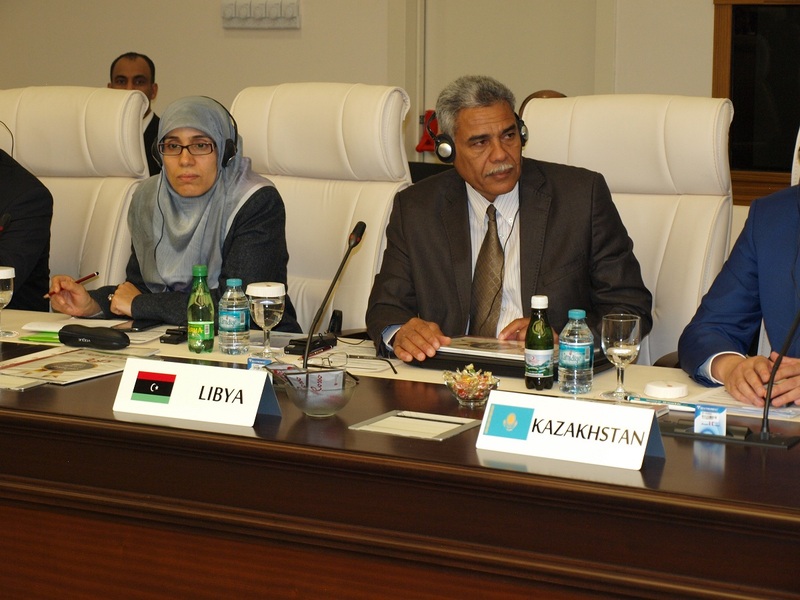 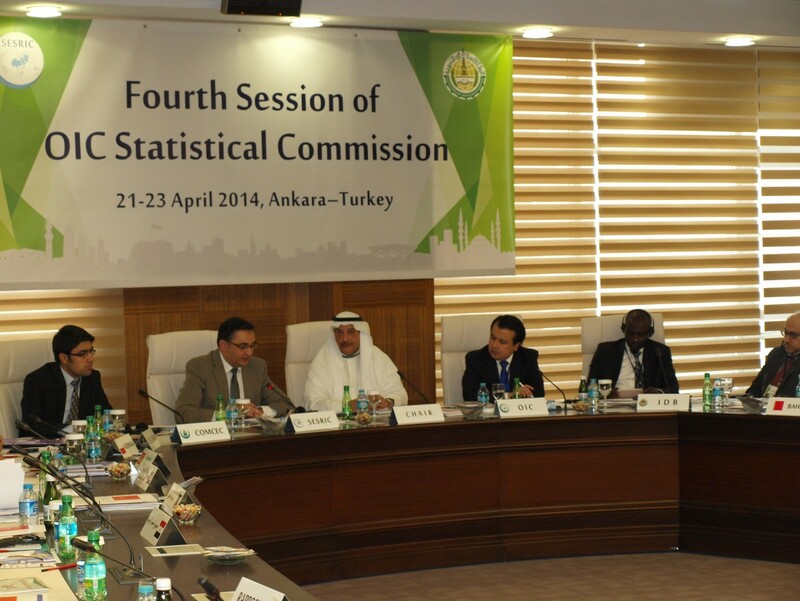 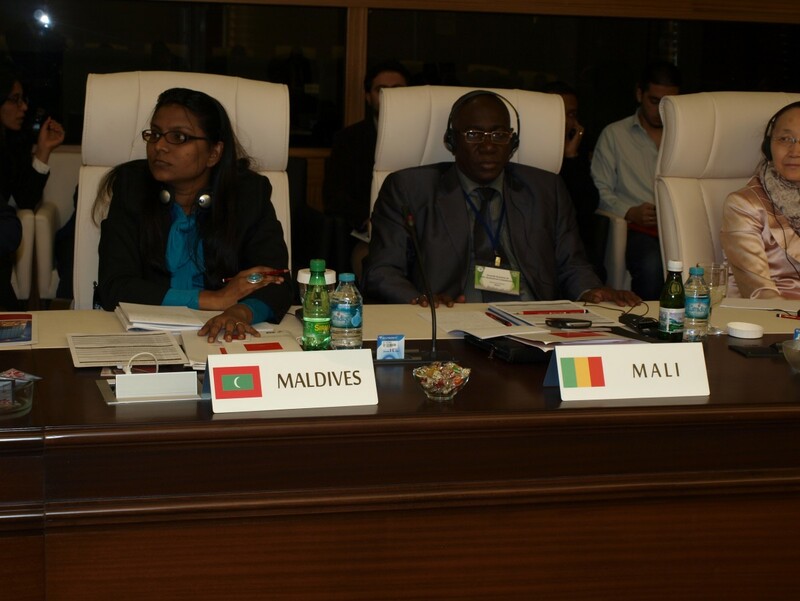 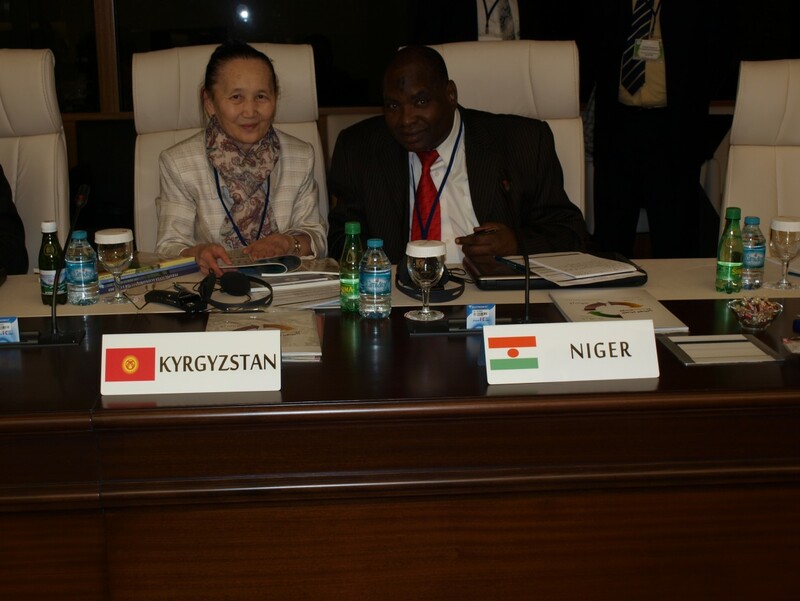 The second day of the Fourth Session of OIC-StatCom, 22 April 2014, started with the session titled “Towards a More Comprehensive System of Health Statistics”. 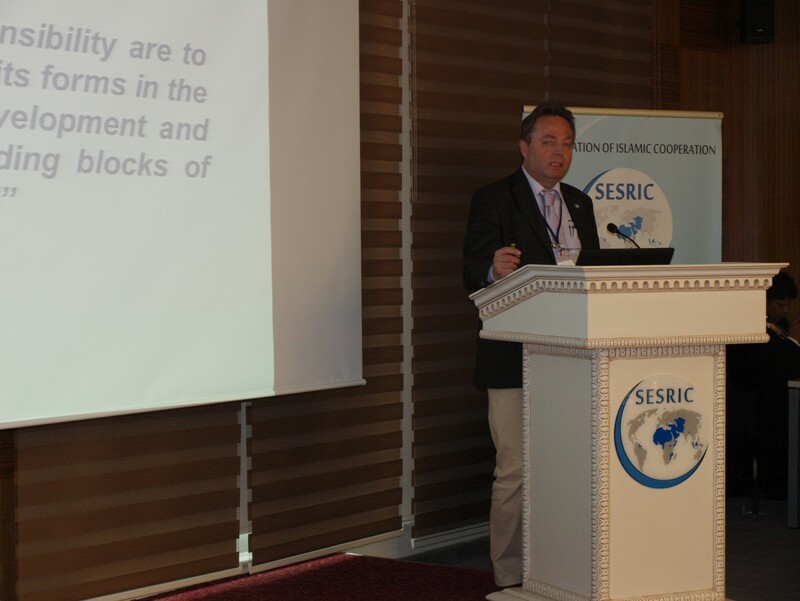 Dr. Edouard Tursan D'Espaignet (Coordinator, Comprehensive Information Systems for Tobacco Control, WHO), enlightened the audience on “Prevention and Control of Non-Communicable Diseases (NCDs)” and underlined the need for global monitoring of NCDs. 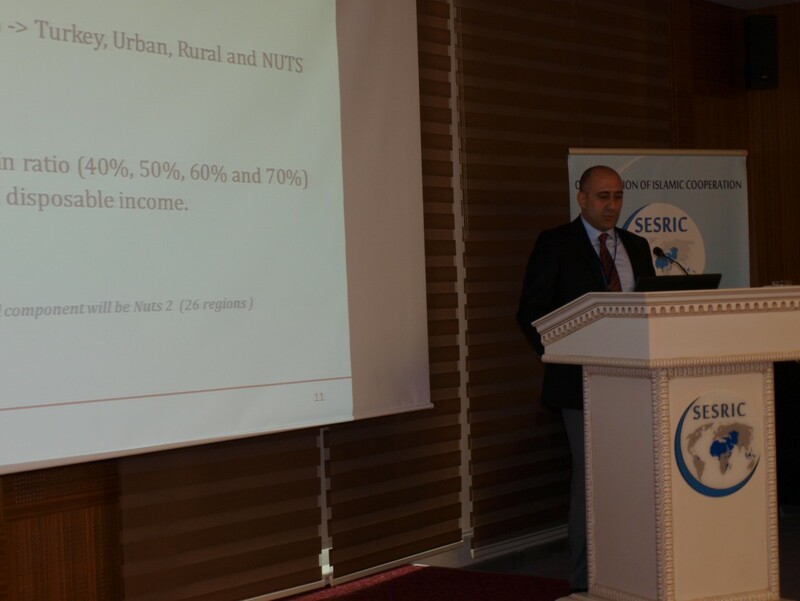 In his presentation, Mr. Mehmet Günal (Expert, TurkStat, Turkey) informed the participants about the implementation of the European Health Interview Surveys (EHIS) in Turkeywhose questions are prepared by Eurostat. 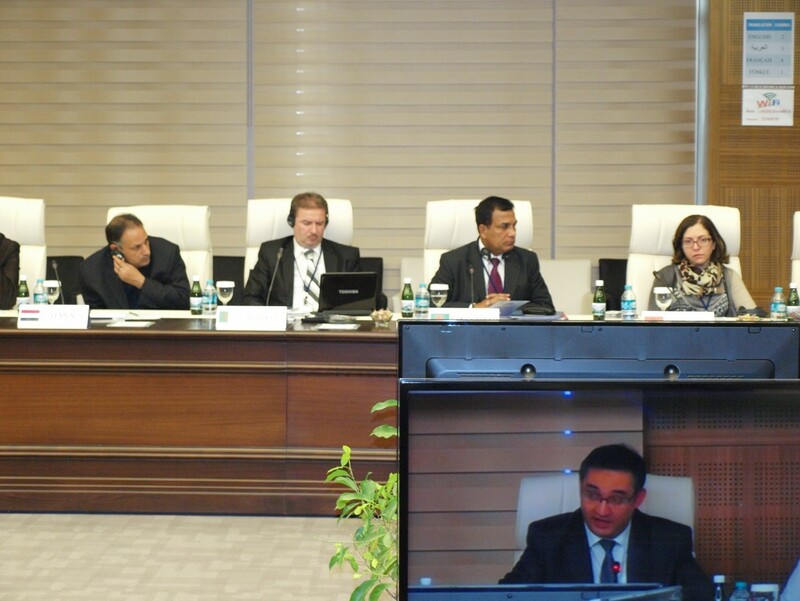 Mr. Günal stated that while Turkey conducts EHIS biannually, the member states of the Europeans Union conduct it once every six years. 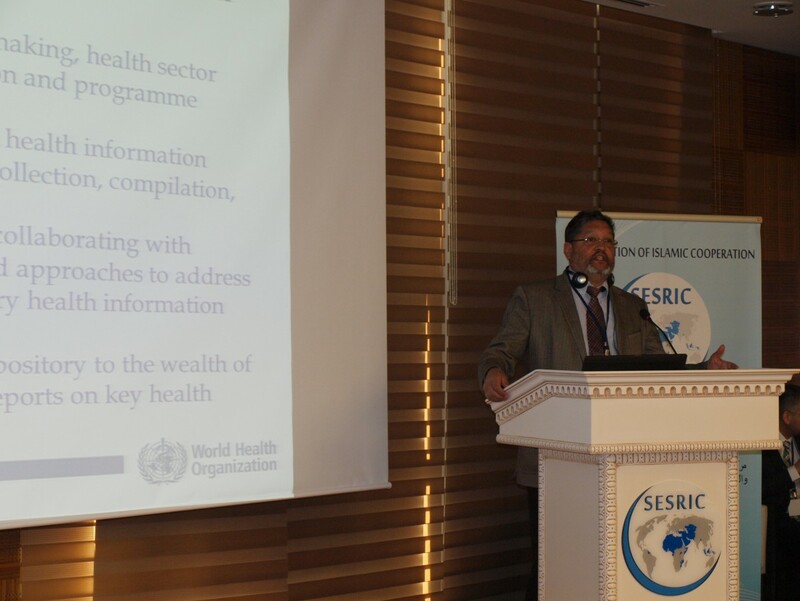 Mr. Günal also briefed the participants about the EHIS modules on health. 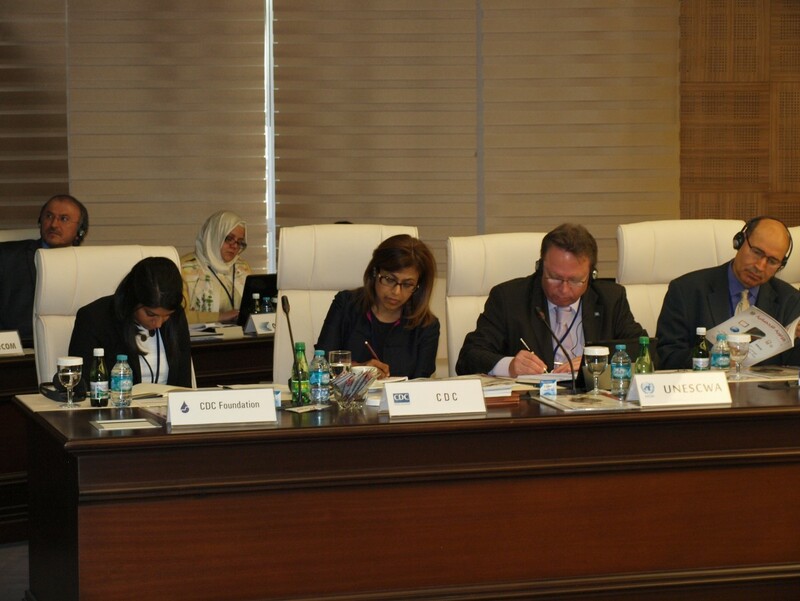 In the second part of the session titled “Global Tobacco Surveillance System in OIC Member Countries”, Dr. Samira Asma (CDC), Mr. Jeremy Morton (CDC), and Mr. Md. 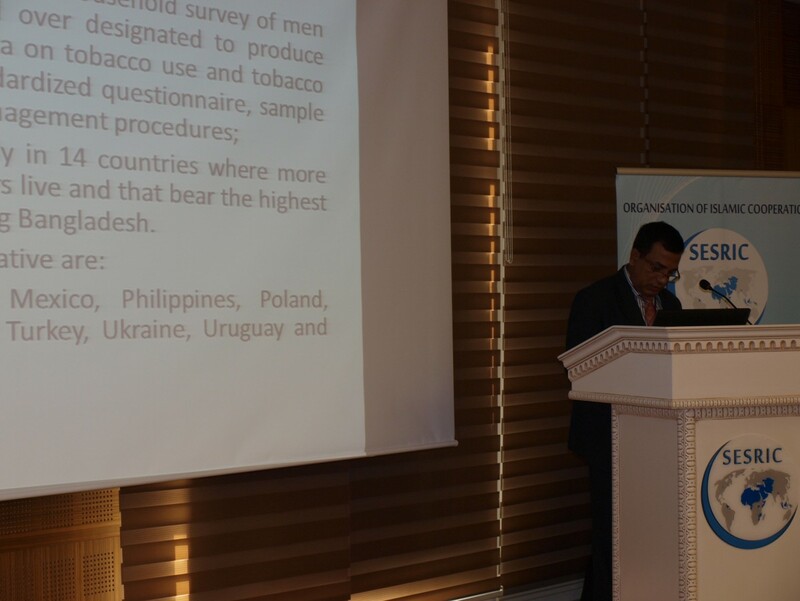 Baitul Amin Bhuiyan (Deputy Director General, Bureau of Statistics, Bangladesh) concentrated on Global Youth Tobacco Survey (GYTS), Global Adult Tobacco Survey (GATS), and Tobacco Questions for Surveys (TQS). 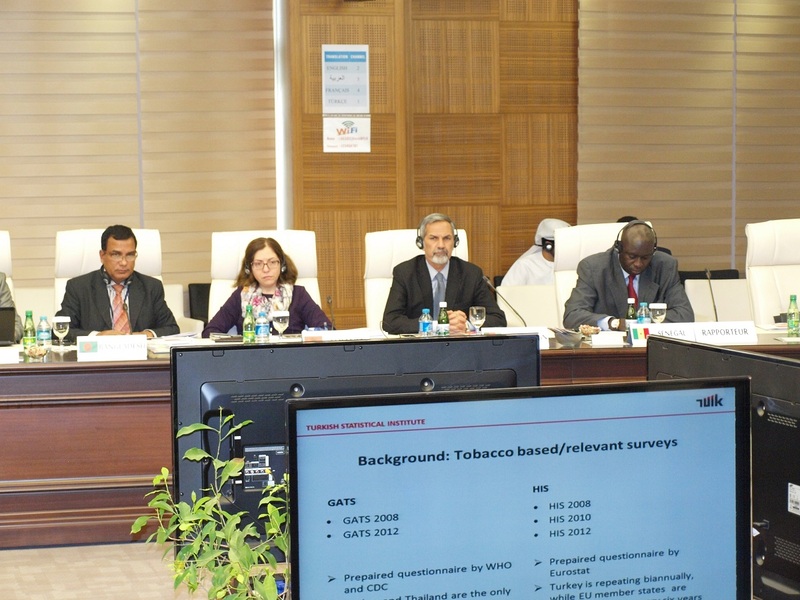 During the discussion session, the participants gave examples from their respective countries on the monitoring of tobacco control and their cooperation with the relevant stakeholders on the implementation of GYTS and GATS. 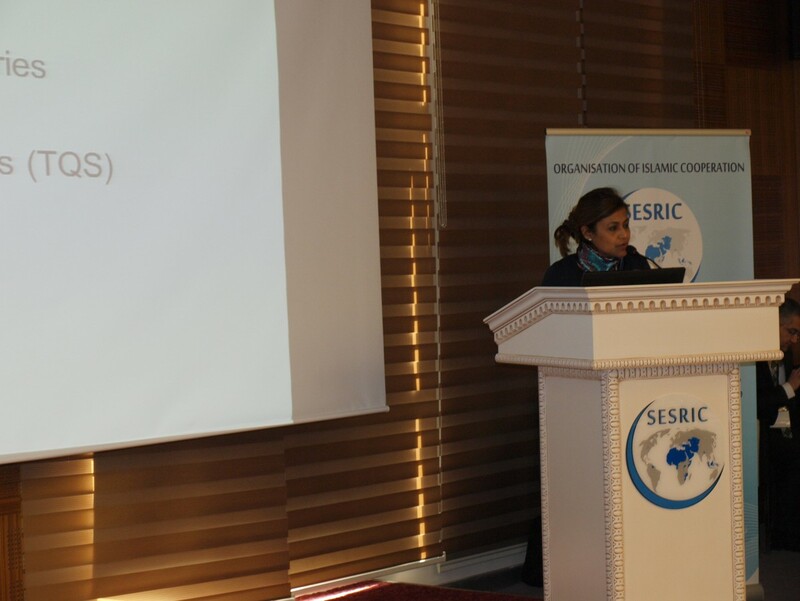 The participants also highlighted the need for reliable statistics in mortality causes and exemplified the alternative approaches to pathologic autopsies which cannot be conducted in certain environments due to cultural reasons. 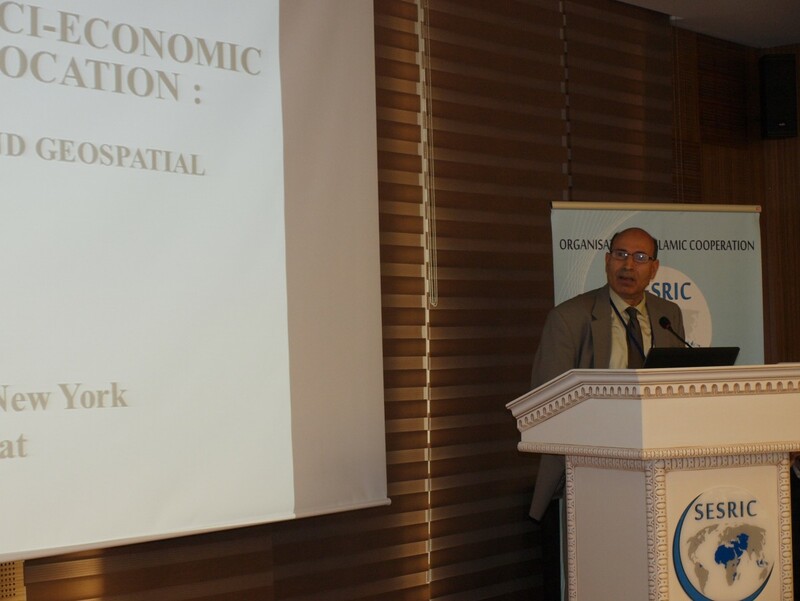 In the following thematic session titled “Integration of Statistical and Geospatial Information”, Mr. Amor Laaribi (GGIM Coordinator, UNSD) focused on how to link people and socio-economic information to a location and informed the roles of the UNSD and UN Initiative on Global Geospatial Information Management (UN-GGIM) in the integration of statistical and geospatial information. 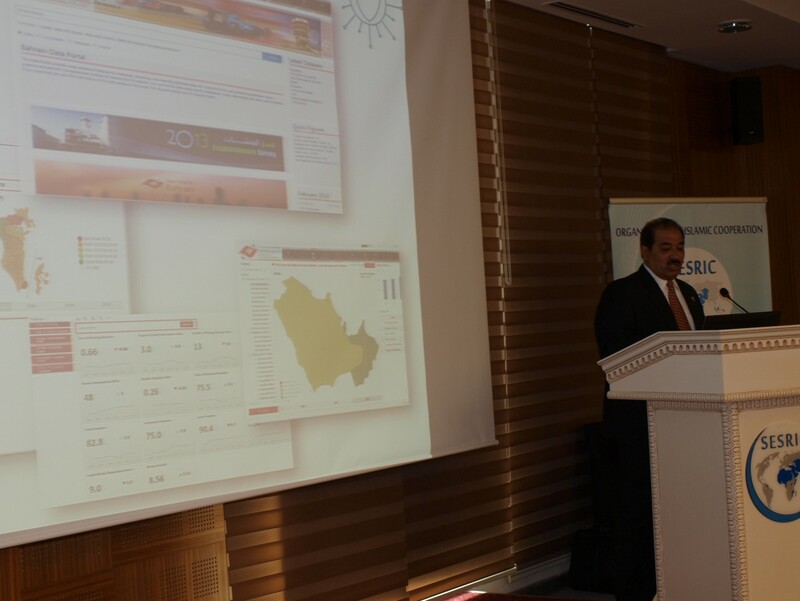 Dr. Mohamad Ahmad Al-Amer, (President, Central Informatics Organisation, Bahrain); Mr. Mohamad Saoud Al Boainain (Head of Population Statistics Section, Ministry of Development Planning and Statistics, Qatar), Ms. Samira Ouadday (Central Director, Geographic Information Systems, Institute of Statistics, Tunisia) and Mr. Reda Mohamad Al Sabbagh (Director of Information Technology Department, National Bureau of Statistics, UAE) also made presentations that mainly highlighted the national statistical activities concerning the utilisation of data, integration and establishment of Geospatial Information Systems by using new technologies. 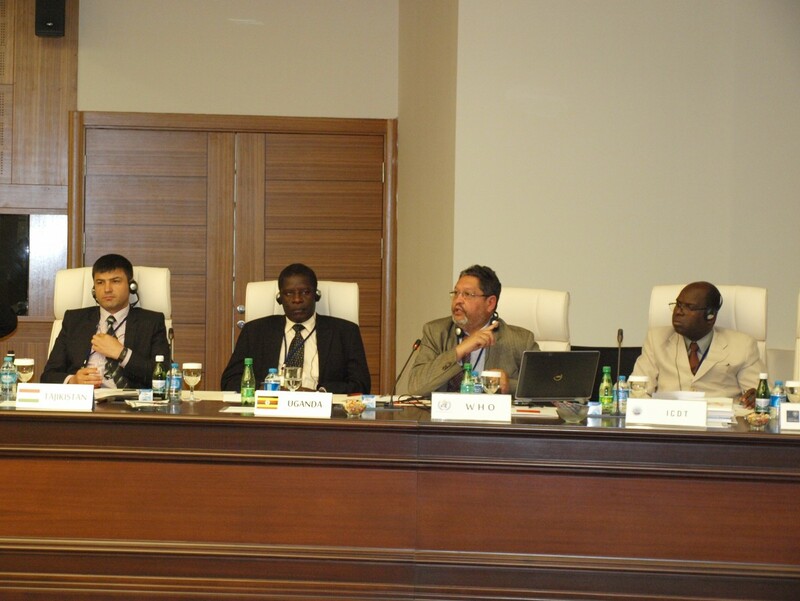 The following discussions focused on the integration of geospatial data in official statistics and possible collaboration between NSOs and the UN-GGIM. 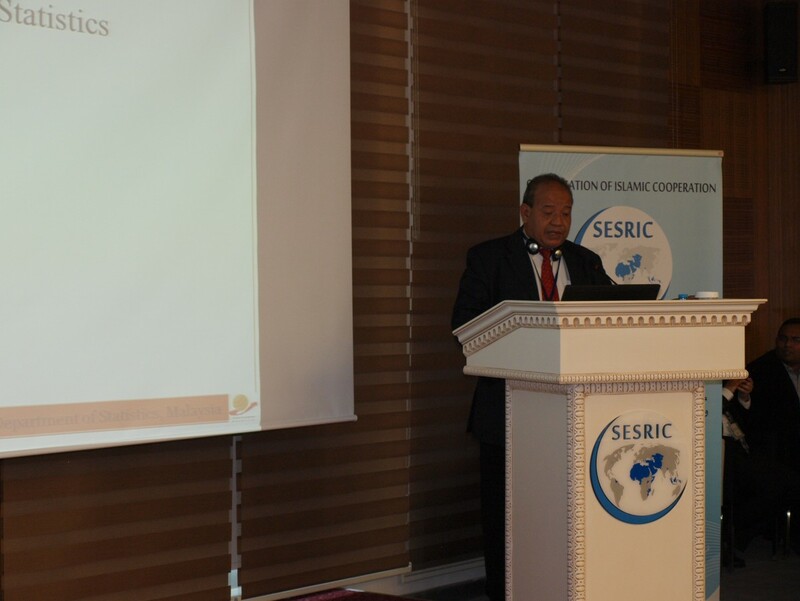 The last thematic session titled “Improving Statistical Capacities in Tourism Sector” included the presentations by Mr. Atilla Karaman (Senior Researcher, Statistics and Information Department, SESRIC), Mr. Abd Latib Talib (Director, Economic Indicators Division, Department of Statistics, Malaysia), Mr. Khalid Said Al Mudhaffar (Acting Director General of Economic Statistics, National Centre for Statistics and Information, Oman), and Ms. Emel Ural (Expert, TurkStat, Turkey). 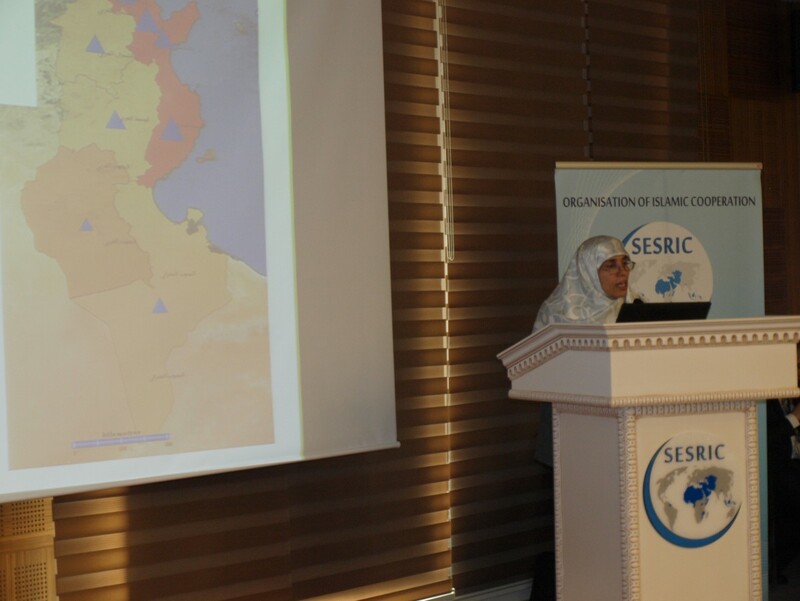 While the presentation by SESRIC focused on the capacity building activities in tourism statistics through the SESRIC-COMCEC joint project titled “Improving Statistical Capacities of Tourism Sector in Mediterranean and Gulf Regions” that received a grant under COMCEC PCM Programme, the presentation by country delegations briefed the participants on the respective country experiences regarding the tourism satellite accounts and the activities carried out in tourism statistics. 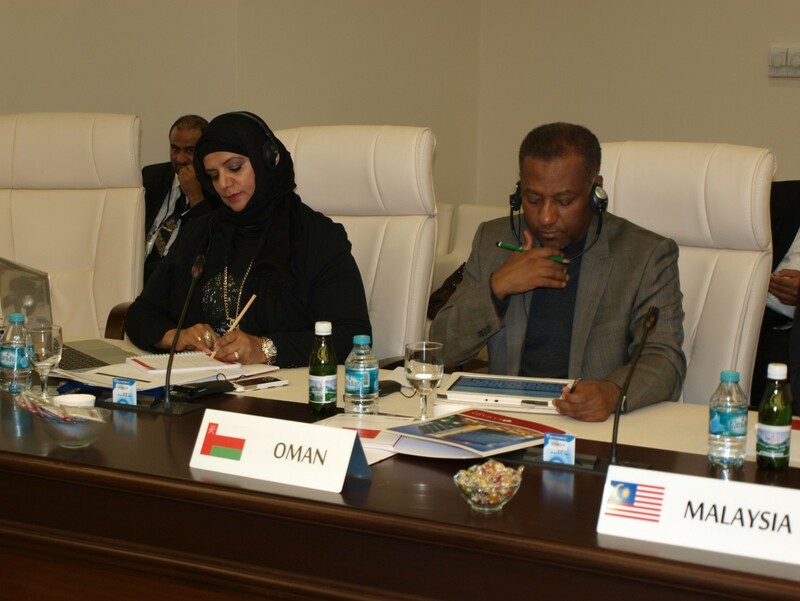 In the discussion part, countries shared their practices and challenges that they face; such as, the lack of data in Palestine on tourist arrivals in East Al-Quds due to the illegal occupation. 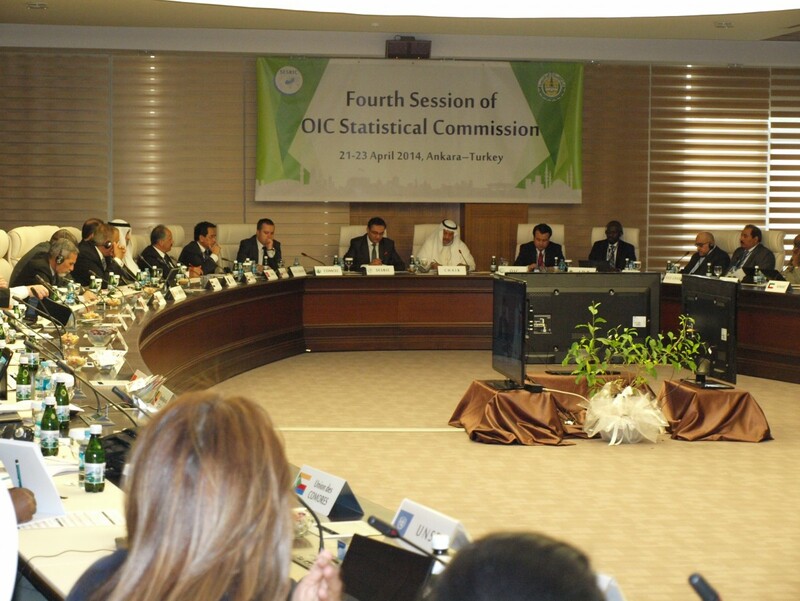 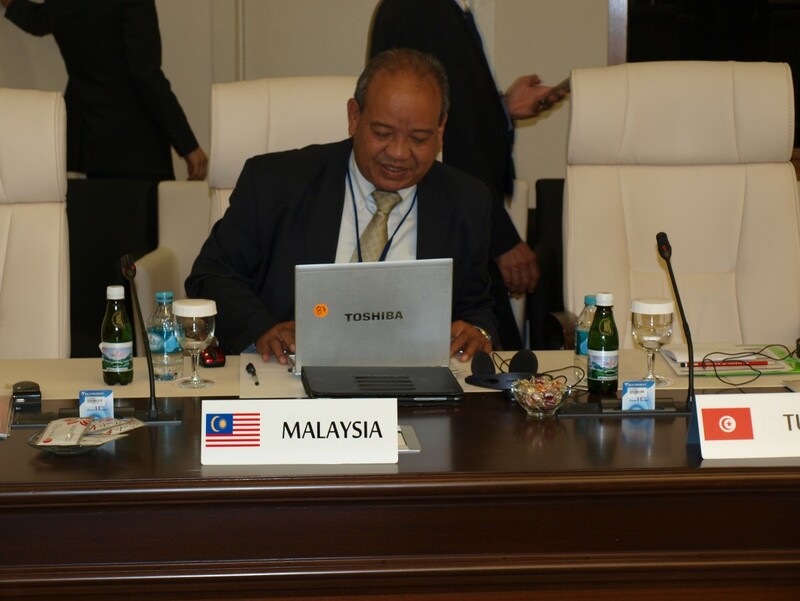 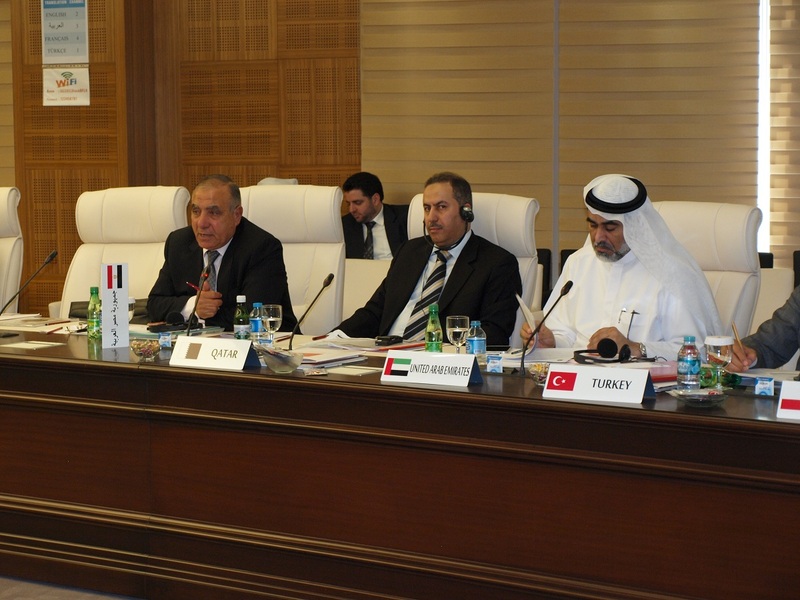 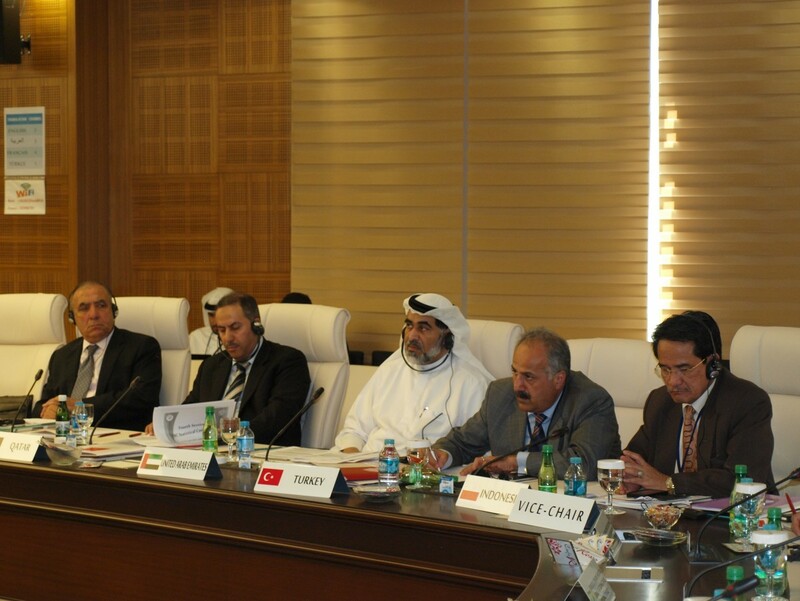 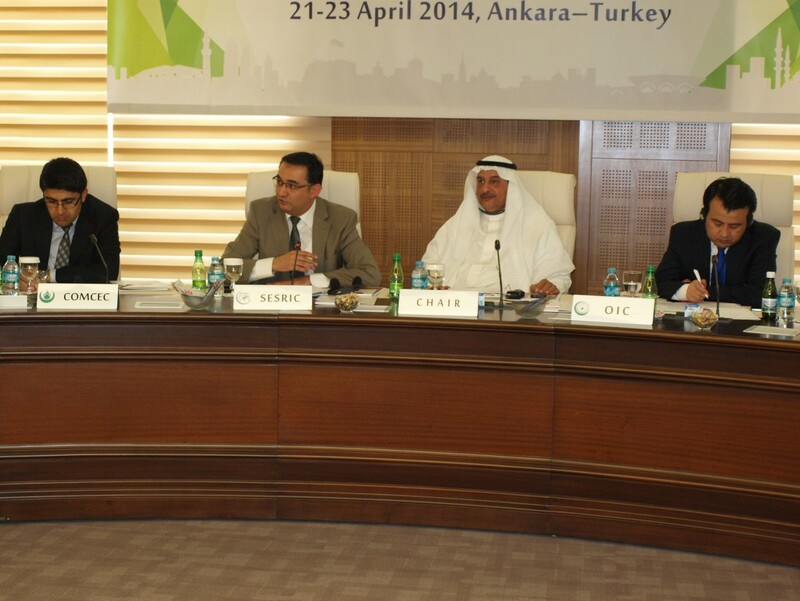 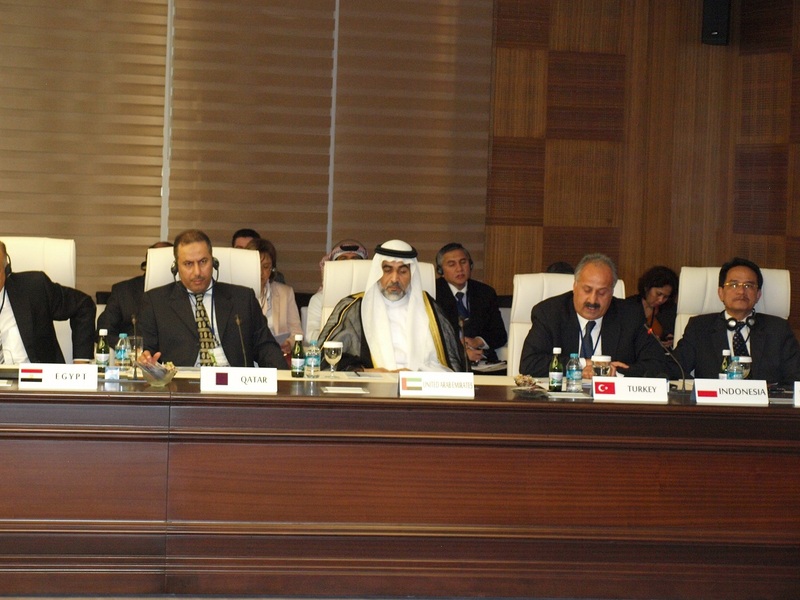 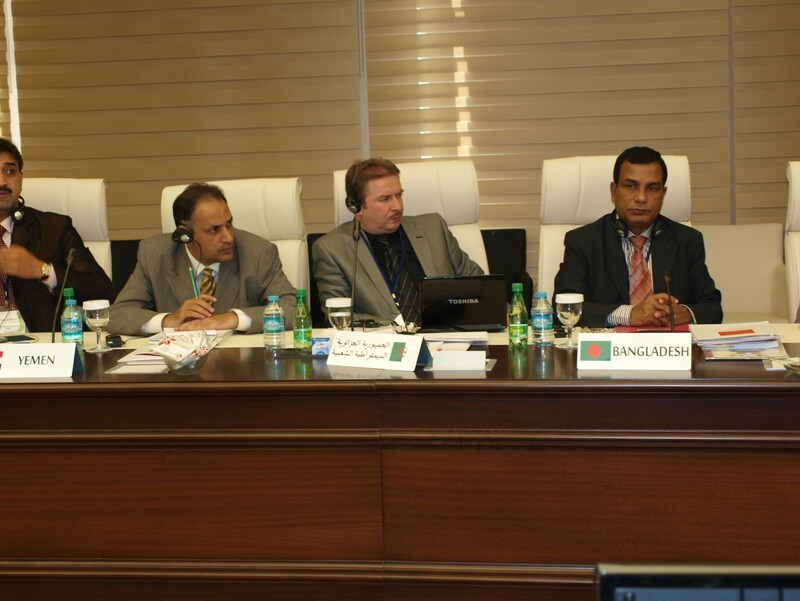 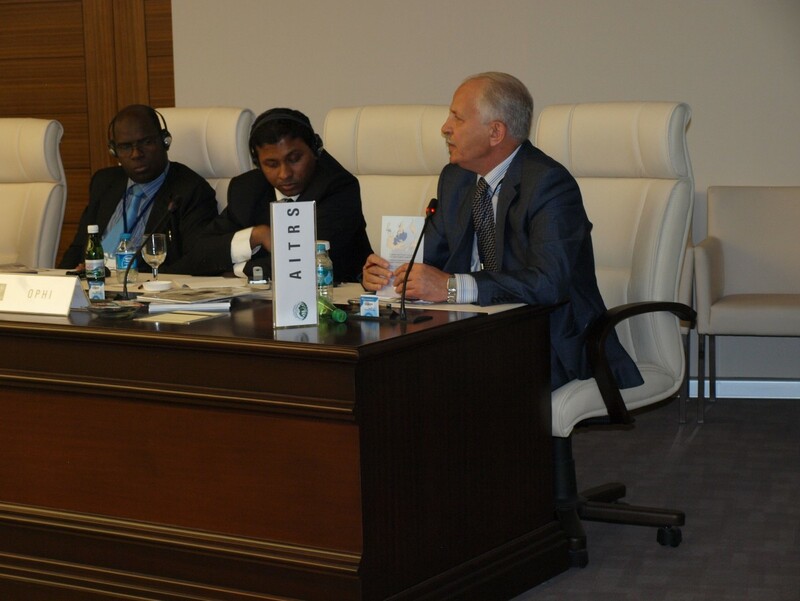 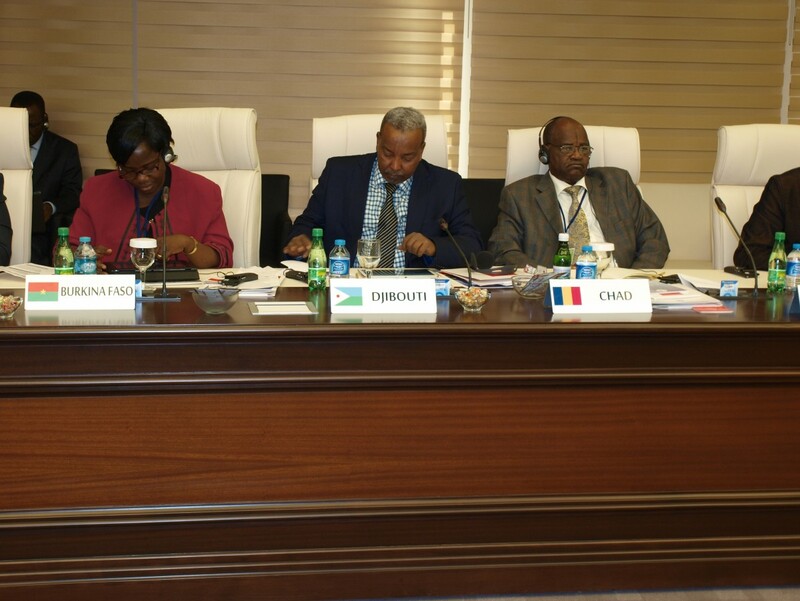 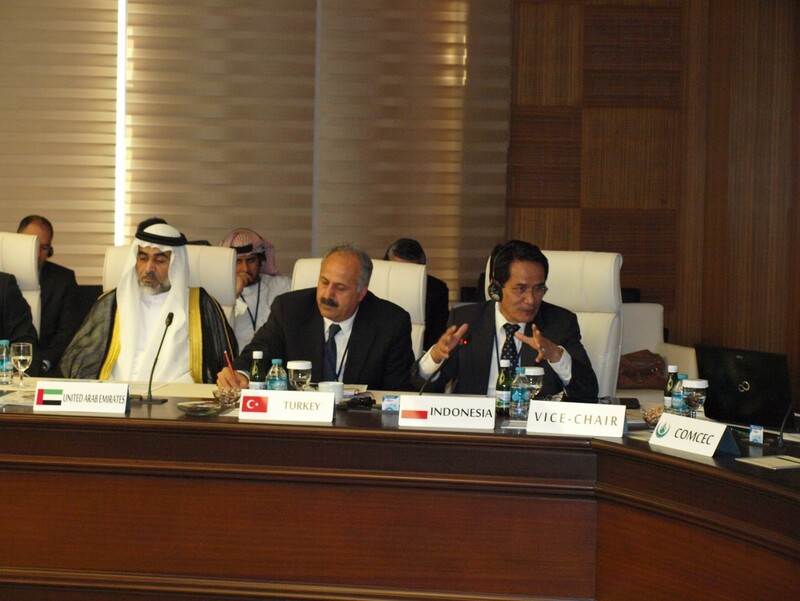 The Fourth Session of the OIC-StatCom concluded with the adoption of the Resolutions.